I am a Saline Ambassador for Boogie Wipes. 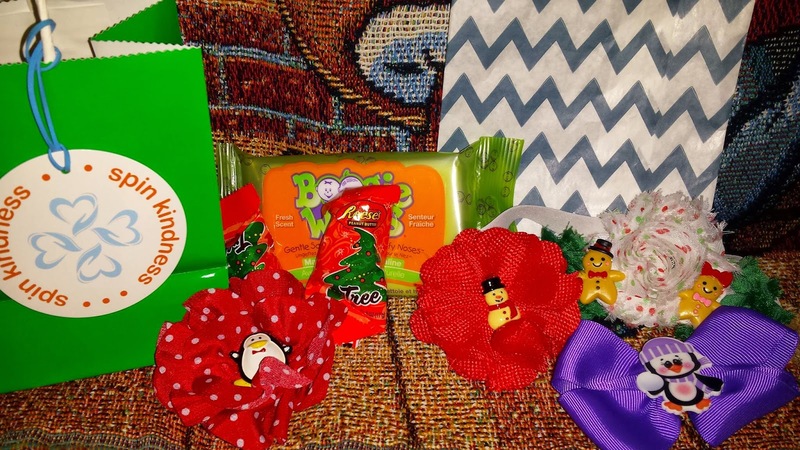 I was given a Kindness Kit and #BoogieWipes samples to #SpinKindness this Holiday Season. All opinions are mine alone. Have you ever noticed that when you smile at someone, they tend to smile back? The next person they make eye contact with will also get a smile. It gets passed from person to person and it makes your day a little brighter; even if for only a couple minutes. What if we tried to do this with kindness? I know that Kindness has helped me get to where I am now. When I was going through some really tough times, I wasn't sure what my next step was - let alone where I would be in a couple months. Kindness seemed to come from every corner of my life. I found housing, I found help with public transportation, I found help for my boys' speech delays. On and on and on... I know I have my moments but I try to spin that kindness to others whenever possible. This past October I co-hosted a Craft Show Fundraiser for a Transitional Housing program in Town. My boys and I lived there for 2 years. Talk about kindness. The staff are amazing. We only raised $150 that day but it is more than I could have done on my own. Just 2 nights ago I co-hosted another Fundraiser Craft Show. We are still selling raffle tickets to raise money for a family battling cancer. Four boys could lose a father and their mom will lose her husband. I want to do all I can for this sweet quiet family. Kindness can spread - try it for your self. #BoogieWipes has a new #SpinKindness initiative that they are trying to spread just like that SMILE! 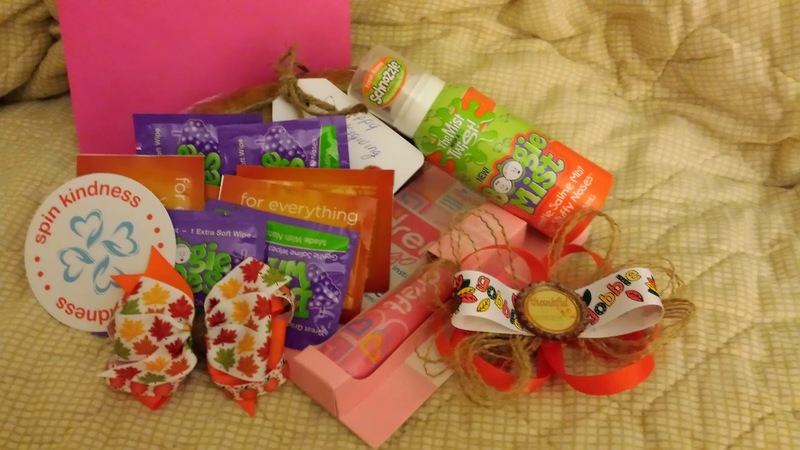 They sent me a box full of goodies and told me to be creative in how I shared my kindness. I took an OCD approach to begin with :) I laid out all the goodies to see what I had. I made up little gift bags of all different sizes to pass out. 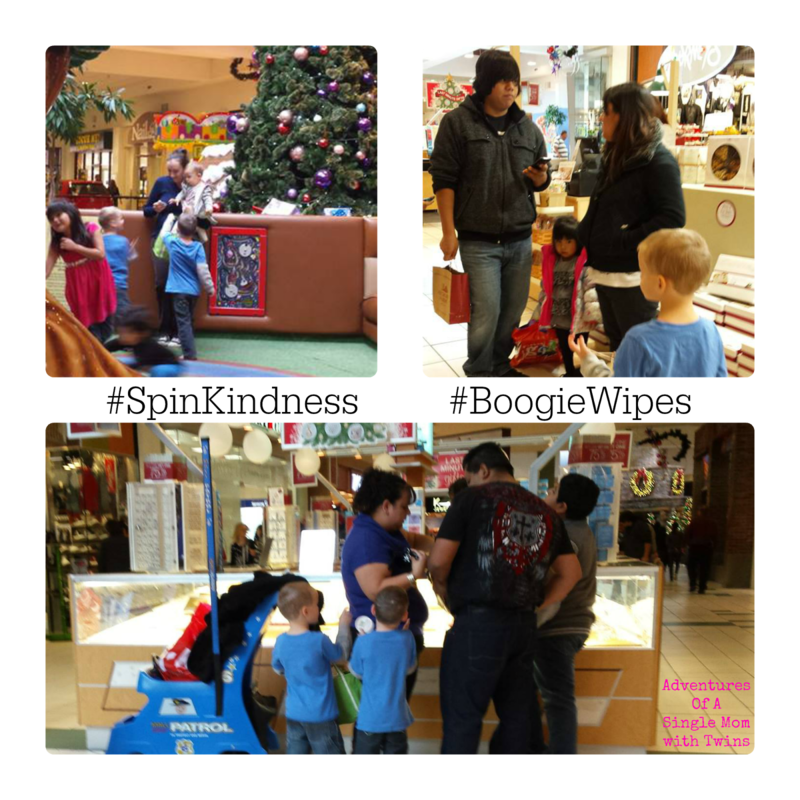 Then I got really busy with my day job, my side business, Black Friday shenanigans, and then a cold. I did get three bags passed out that week though. I had planned to do more yesterday but I was sidelined with a cold. I guess I needed one of my GERM Buster bags for myself :( I am feeling better though and I plan to pass out lots more goodies this week. This was for the family that showed me kindness on Thanksgiving. My boys went to Grandma's for the long weekend. They offered to share their meal with me. 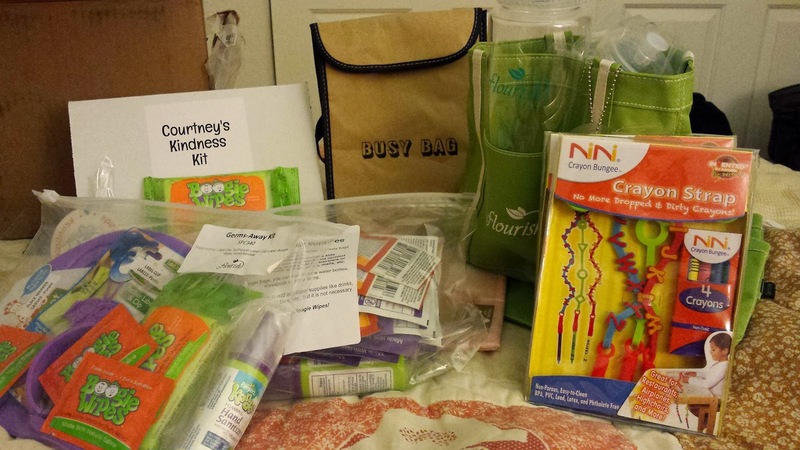 This bag of goodies is for a mom recently diagnosed with an illness. She is always so sweet and so kind. I wanted to do something nice for her during Turkey week. 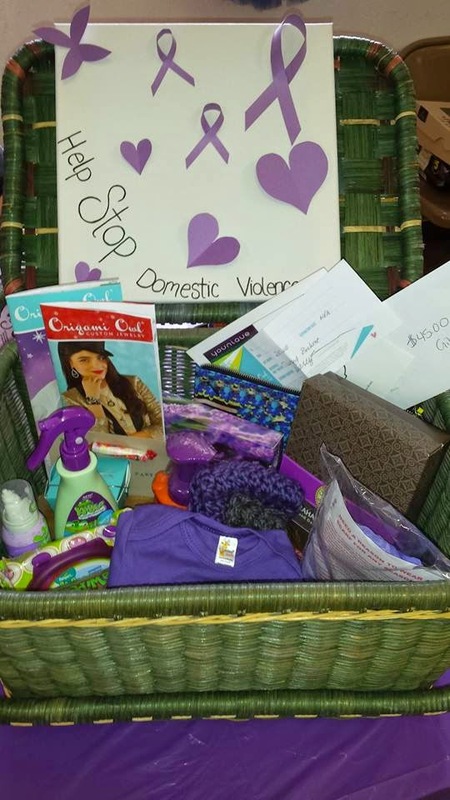 that have escaped domestic violence. 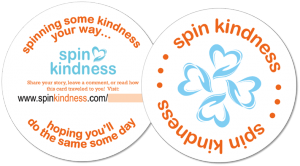 If you have been given a #SpinKindess package/gift you will also receive a round Spin Kindness tag/card. There should be a word or code in the space following .com/ Type in the entire URL and follow the directions. If you want, you can then #SpinKindness to someone else. 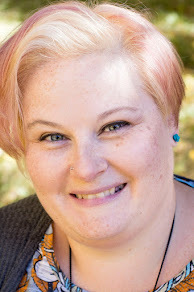 Any cards from me will have this link: http://www.spinkindness.com/Boogie/ with the code Mora-3Q12 underneath so they can be tracked back to me. Oh, I almost forgot. There is a big giveaway that is being done up through December 15th. Six Winners in all.